Growing Concerns has restored, recycled & retailed antique & vintage garden tools, implements, furniture & allied artworks & artefacts over many years, primarily from UK retail venues in Southwold, Suffolk, and previously in Holmfirth, West Yorkshire and currently in Cirencester, Gloucestershire..
​Many repeat buyers and collectors travelled across country to view & acquire items. Developed, devised and implemented projects and programmes to re-launch or regenerate outdoor places & spaces. Heritage research, project planning, funding development, professional allies and inspiration found and fought for! 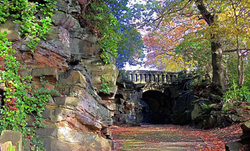 Project management: Friends of Beaumont Park, Huddersfield - overseeing 29 acre Victorian park regeneration and restoration programme funded by UK National Lottery. Users of spaces - Makers of places: creating/devising cultural events and live productions both outdoors and eco-issues related indoors - from exhibitions to stage plays, concerts to site-specific adventures. Coordinated eco-art exhibitions: works with an environmental theme - by artists various, alongside vintage and heritage horticultural and agricultural artefacts. Project management: social gardening adventure in Holmfirth, West Yorkshire - Growth Industry - shop and neighbourhood front garden programme around the town - improving street scene and environmental awareness. Planned to run six months, actually ran 18 months due to popularity & success! Event management: devising and coordinating innumerable private al fresco events, sales, functions and life-stages celebratory occasions. Ongoing - sssh: more guerrilla gardening!